vcay7 lovely to deal with and easy transaction! unixorncraft Very easy to deal with, punctual and fair negotiation. Highly recommended. 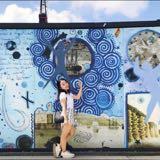 @steph.marie is on Carousell - Follow to stay updated! 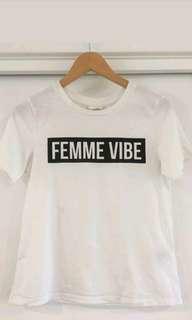 Selling near new white tee from H&M. Only worn a handful of times so in excellent condition. Tagged size XS but would fit up to size 8. Selling a bunch of other stuff so happy to combine postage where possible. 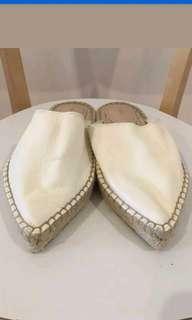 Selling new pair of espadrille mules/slides by MNG/Mango. Never worn, only tried on. There is a light mark on one of the tops of the mules, but not very noticeble. Size 38 Selling a bunch of other stuff so happy to combine postage where possible. Selling near new 3/4 textured crop blazer blazer by Jacqui E. In colour "Milk" Current season, RRP $130 Size 8 Only worn a handful of times, in excellent used condition Selling heaps of stuff so happy to combine postage where possible. 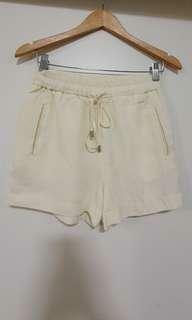 Selling pair of high waisted tie cream shorts by Zara. In v good pre loved condition, although there are a few small marks as pictured. Size XS, best fit AU 6-8 Selling a heap of other stuff so happy to combine postage where possible! 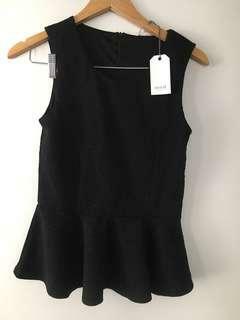 New with tag soft black jacquard patterned top by SEED. Size XS Selling a heap of other stuff so happy to combine postage where possible. 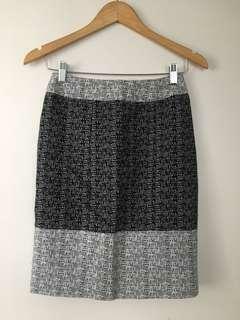 Selling midi work skirt by Review. In very good pre-loved condition, no faults. Size 6 Selling a heap of other stuff so happy to combine postage where possible. 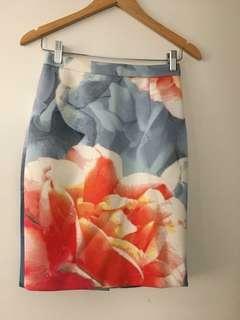 Selling gorgeous midi scuba neoprene skirt by Keepsake. In pre-loved condition, albeit plenty of wear left. Sold as is, priced to sell. Size S Selling a heap of other stuff so happy to combine postage where possible. 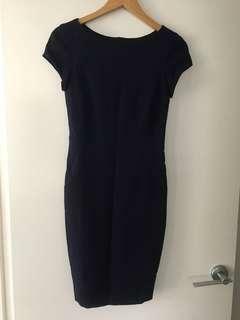 Selling gorgeous corporate midi pencil dress by Zara. Thick quality material. In excellent pre-loved condition. Size XS Selling a heap of other stuff so happy to combine postage where possible. 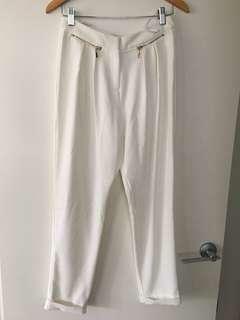 Selling pair of gorgeous white / cream cuffed pants by Sheike with gold hardware. Soft quality fabric. Never worn but tags removed. Size 10. Selling a heap of other stuff so happy to combine postage where possible. 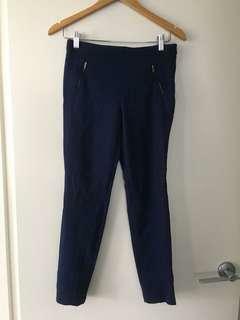 Selling soft blue Zara work pants, skinny / tapered style with rear ankle zips & gold hardware. Size S In excellent pre loved condition. Selling a heap of other stuff so happy to combine postage where possible. 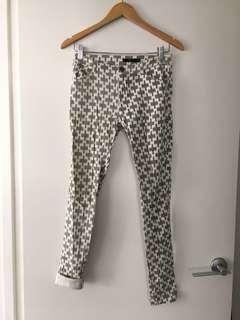 Selling pair of pre-loved patterned skinny jeans by EF. In good pre-loved condition with plenty of wear left. Priced to sell. Size S, best fit size AU 6-8 Selling a heap of other stuff so happy to combine postage where possible. 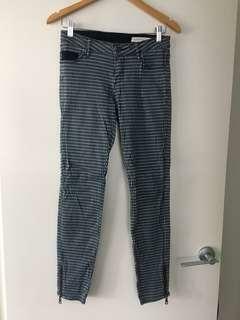 Selling pair of pre-loved skinny soft jeans with ankle zips by Sass & Bide. In good pre-loved condition, with plenty of wear left. Priced to sell. Size 26 Selling a heap of other stuff so happy to combine postage where possible. 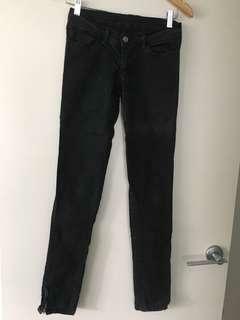 Selling pair of pre-loved black skinny jeans with ankle zips by Ksubi (formerly Tsubi). In pre-loved condition, some fading and zip can be a bit fiddly. Priced to sell. 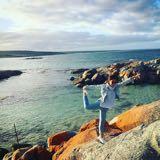 Size 8 Selling a heap of other stuff so happy to combine postage where possible. 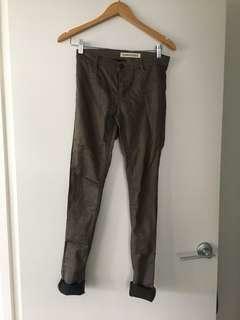 Selling pair of pre-loved khaki skinny jeans by Country Road. In excellent pre-loved condition. Priced to sell. Size 4 (equivalent to AU 6) Selling a heap of other stuff so happy to combine postage where possible. 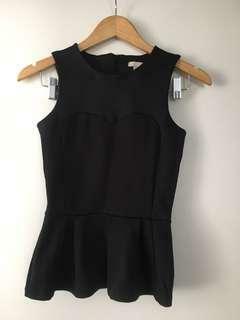 Selling cute black neoprene/scuba sweetheart peplum top by H&M. Never worn but no tags, in new condition, priced to sell. 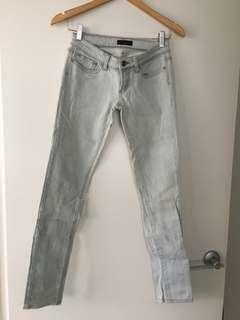 Size 32 (best fit size AU 4-6) Selling a heap of other stuff so happy to combine postage where possible. 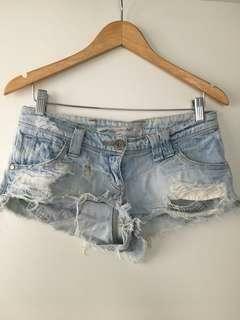 Selling pair of pre-loved denim shorts by River Island In pre-loved condition, albeit plenty of wear left. Priced to sell. Size 8/34 Selling a heap of other stuff so happy to combine postage where possible. 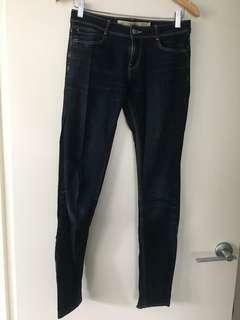 Selling pair of pre-loved skinny jeans by Since Jane. In pre-loved condition, albeit plenty of wear left. Priced to sell. Size 6 Selling a heap of other stuff so happy to combine postage where possible. 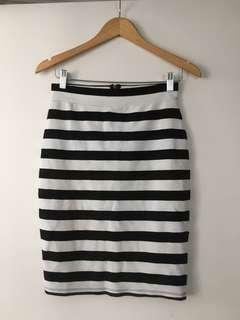 Selling striped midi pencil skirt by Portman’s. Size S In good pre loved condition, with a small mark as pictured. 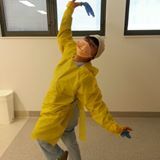 I’ve not tried removing. Selling a heap of other stuff so happy to combine postage! 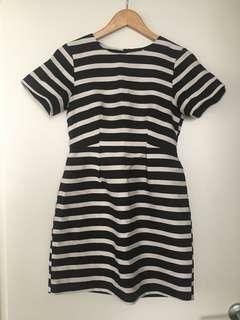 Selling cute structured stripe dress by H&M. Tagged size 36, best fit size 6-8. In good condition other than some fraying on the collar as pictured. Selling a bunch of other stuff so happy to combine postage!